Convert your leftover withdrawn Mexican Peso banknotes to cash using our hassle-free online exchange service. Get paid fast for your unused currency from Mexico. 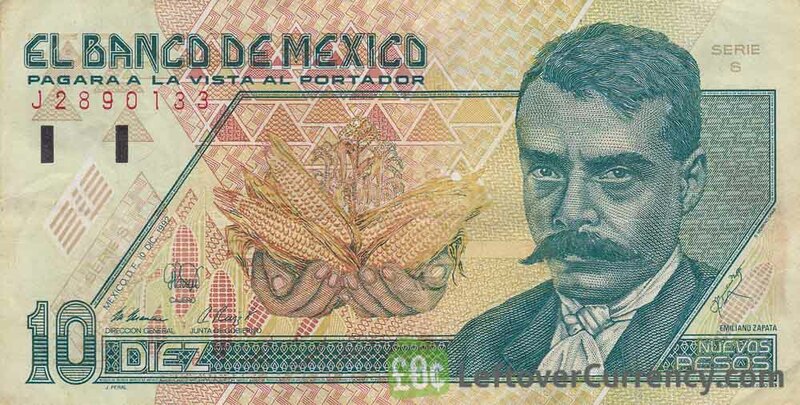 These banknotes belong to the so-called Series D of the Mexican Peso paper money. This is not related to the Serie code printed on the banknotes itself, which is in most cases two digits long. These banknotes were replaced by Series F banknotes with more advanced security features. 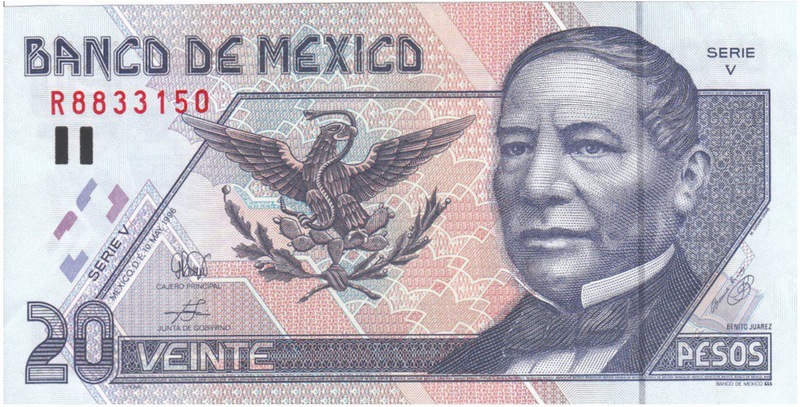 We accept all withdrawn Mexican Peso banknotes for exchange. 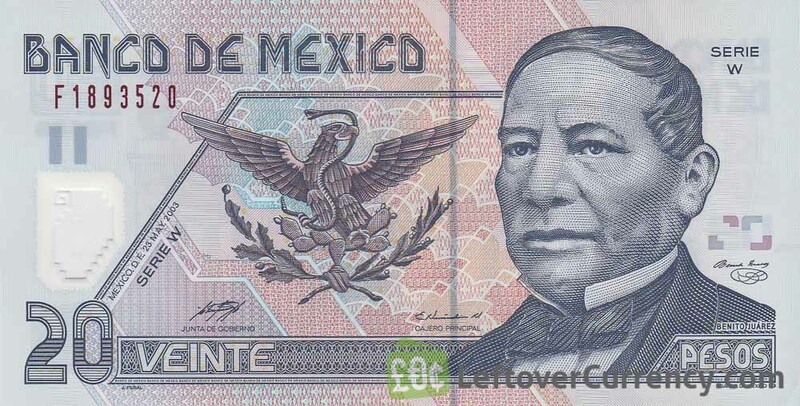 In addition we also exchange Mexican Peso coins and Series F current Peso banknotes. 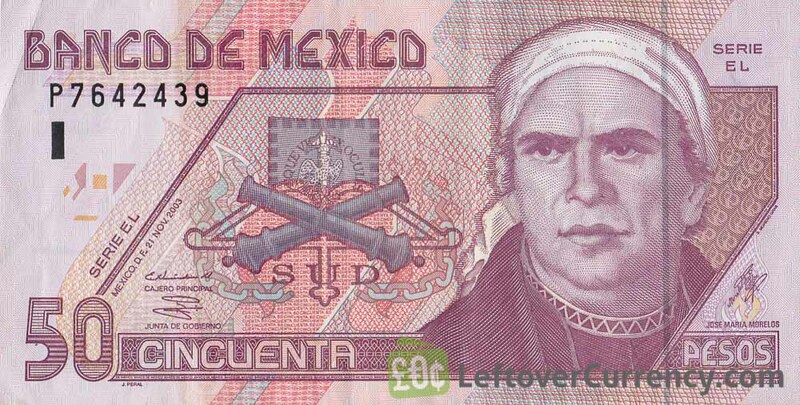 Do you have withdrawn Mexican Peso banknotes like the ones in the pictures below? Add the amount you want to exchange to your Wallet. You'll see exactly how much money you'll get for your Mexican Pesos. Click on the Wallet symbol to complete checkout and get paid within 5 days of receiving your currencies.